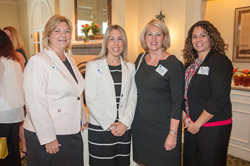 The Apex Learning team with Florida Education Commissioner Pam Stewart at the recent Argus Foundation Luncheon. We are working together with districts throughout the State of Florida to provide equity of opportunity for all students. 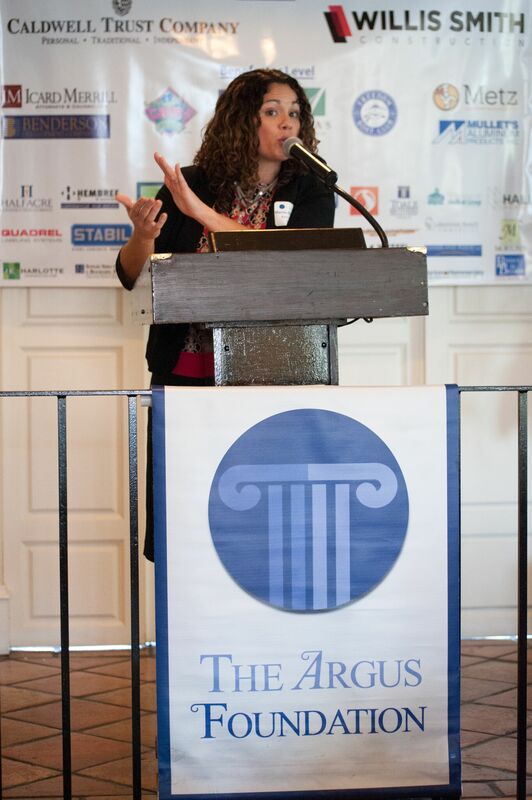 We are honored to support Commissioner Pam Stewart and the Argus Foundation on their efforts close the achievement gap. Apex Learning, a recognized pioneer and innovator in online learning for secondary education, partnered with the Argus Foundation, a non-profit organization in Sarasota County, Florida, that seeks to bring together business leaders from diverse industries to facilitate communication and benefit the community. The two groups hosted the collaborative luncheon for Commissioner of Education Pam Stewart to share her thoughts on the future of education in Florida. Former Florida educator and Apex Learning account executive Marcia Philosophos introduced Commissioner Stewart to the group, citing her commitment to supporting equity of opportunity for all students in Florida, the most diverse state in the nation. Philosophos also recognized Superintendent of Sarasota County Schools, Dr. Todd Bowden, who was in attendance, for the district’s commitment to personalize learning to meet diverse student needs. Commissioner Stewart, appointed by Florida Governor Rick Scott in 2013, spoke about her mission and vision for education throughout the State of Florida and emphasized that her top priority is closing the achievement gap. “We are working together with districts throughout the State of Florida to provide equity of opportunity for all students,” said Apex Learning national sales director Lisa Perry. “We are honored to support Commissioner Pam Stewart and the Argus Foundation on their efforts to close the achievement gap." Schools and districts nationwide implement Apex Learning digital curriculum to personalize the learning experience and support success for all students-from those who are struggling to those capable of accelerating. Proven to increase outcomes, Apex Learning digital curriculum actively engages students in learning, with embedded supports and scaffolds to meet the needs of diverse learners. During the most recent school year, there were more than 3.6 million enrollments in Apex Learning digital curriculum. Headquartered in Seattle, Apex Learning is accredited by AdvancEd and its courses are approved for National Collegiate Athletic Association eligibility. For more information, visit http://www.apexlearning.com or call 1.800.453.1454.